With the Wedding Season now in full swing I thought I would give you a little advice on Garden Parties. 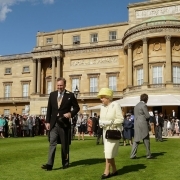 So if you have been lucky enough to have been invited to a Royal Garden Party this summer here are a few tips regarding Dress Codes and etiquette for both men and women. If you have any questions regarding your invitation make sure you telephone the correct Royal Household, do not telephone Buckingham Palace! Make sure you prepare your queries in advance. Dress Codes are very important and must be adhered to. Dress Codes will be stated on the invitation, all according to which function you have been invited to. And finally, remember Ladies never call the Queen’s household to ask what the Queen will be wearing at your invited function. I know you wouldn’t want to clash with the same colour or style but they just would never tell you. 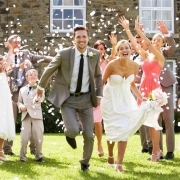 Is your Daughter or Son getting married this year? Well, it’s time to start looking for your perfect outfit to avoid disappointment. We have now received all of our beautiful new season collections from Ispirato, Cabotine, Zeila and Dress Code and what can I say, they are simply stunning. From beautiful bright colours to soft and subtle shades to suit any complexion. What is on trend this year are lots of blue and white and navy and ivory combinations. The vintage look is popular also. So far this season I have noticed alot of couples are opting for barn or marquee weddings. With this I have found Mum’s want a more relaxed look but still having the Mother of the Bride and Mother of the Groom distinguished look though. 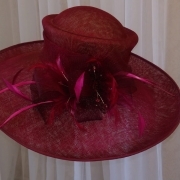 Big hats are still very popular however there are a few quirky styles that seem to be on trend at the moment. Lightweight veiling and tulle and feather quills are a must and fascinators that give you height are catching ladies attention. Especially those who cannot wear heeled shoes. Just remember that your outfit must be comfortable as you will be wearing it for a long time. Also that the colour suits you and you like yourself in it. This can be a very daunting experience but be rest assured we try to make it a joyous and relaxing experience and it’s not everyday you get to try on lots of beautiful outfits. Our aim is make you feel and look like a million dollars! 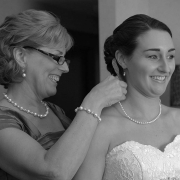 Mum’s often find themselves wondering what their role and duties are during the wedding plans and then on the day itself. It is obviously such an exciting time planning a wedding with your daughter or your son but remember it is their wedding and may have set ideas a to who is doing what and when. These days tradition has been turned on it’s head as so many couples take charge and plan and pay for everything themselves. So, firstly sit down with the couple to establish what they would like you to do. To start with it’s the dress shopping mum’s must attend and why not invite the mother in law to be as well! On the big day you are calm within the hectic chaos of dresses and make up. Make sure you have got yourself ready so you are there on hand. Help the bride into her dress and make sure the bridal party has everything they need. You will travel with the bridesmaids in the second car to the church or venue. Then you are escorted down the aisle by one of the ushers as will the groom’s mum will be also. After the ceremony you will be escorted by the groom’s father and the groom’s mum is escorted by the bride’s dad. Although it’s the bride and groom’s big day you are the hostess with the mostess and should be at the top of the greeting line welcoming guests and be a definite feature on the top table. As the party gets into full swing make sure every ones having a great time, you don’t want anyone missing out! However, you can’t do everything so delegate duties to other people. Guests will enjoy themselves if you are, so make sure you are. As quick as it’s started it’s over. The bride and groom have retired and have left you to say the final goodbyes to the last guests, take charge and care of the gifts and cards. Settle any outstanding monetary bills with the venue and make sure the wedding cake (if not eaten) is packed up safely. 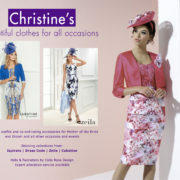 https://christinesoccasionwear.co.uk/wp-content/uploads/2015/12/slider8dark.jpg 1000 1747 Rachel Robinson https://christinesoccasionwear.co.uk/wp-content/uploads/2019/04/Logo-Christines-header-354px.png Rachel Robinson2016-10-04 15:44:402016-10-04 15:46:07"Mum's Duties"
Getting that wedding invitation from friends or family is fantastic but that does mean having to think about what to wear. Since black and white are off the colour chart, bright, bold and cheerful colours are the way to go. As most weddings are in the summertime it does make it easier as far as our outfits are concerned. So, the question is what do we wear as a wedding guest? Give yourself plenty of time to plan and purchase your outfit. Leaving it until the last minute could lead to you feeling uncomfortable and purchasing something you wouldn’t normally buy. Plan your outfit and think about other occasions you may have been invited to for example a garden party, a day at the races or any other celebration. Think about what you feel like yourself in and what you feel confident in. Do not change your own style just because it’s a wedding. There is so much to choose from whether it is big florals, stripes or tribal prints. So don’t hold back it is a celebration after all. The advice is to keep the rest of your ensemble simple and not fussy. For example if you choose a maxi dress accessorise it with a pair of strappy low heel sandals and keep your jewellery small. If your outfit is simple for example a plain block colour jazz it up with chunky jewellery or a show stopping pair of shoes. Think about the fabric of your outfit. Choose light and breezy fabrics such as silk, chiffon and cotton. These are the most popular choices as these make sure you do not overheat.